Pro-life Americans can expect a new chance at overturning Roe v. Wade, the 1973 Supreme Court ruling that legalized abortion in the United States. More than anything else, the media outrage confirms it. Justice Anthony Kennedy’s retirement from the Supreme Court sparked a media firestorm over what the media seem to care most about: abortion. Hollywood figures and journalists panicked that President Trump’s new nominee, announced July 9 as federal judge Brett Kavanaugh, might enable the court to overturn Roe v. Wade. That would leave abortion up to the states – which, according to many in the media, meant ending abortion once and for all in much of the U.S. In response, one media figure even offered abortions as birthday presents. The media’s history on abortion has long neglected pro-life voices, from the hush on the undercover Planned Parenthood videos to the blackout of Philadelphia abortionist Kermit Gosnell’s trial in 2013. 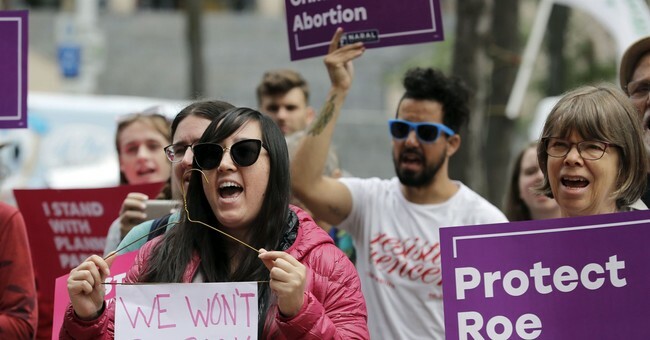 This time, enraged Roe v. Wade commentators dismissed the pro-life movement again – but not with silence. But even before his nomination, media figures promised to fight him. “No, I said abortion will be illegal in as many as 20 states,” Toobin corrected. “Because Roe v. Wade is dead today.” He stood by that on CNN’s New Day following Kavanaugh’s nomination. Dead. Just like the millions of unborn babies missing from the United States today because of abortion. But Toobin missed the irony. So did others in the media. Comedian Michael Ian Black appeared to twist the issue into a joke – a bizarre move, considering neither pro-lifers nor abortion supporters find Roe v. Wade a laughing matter. Other women in the media also took it upon themselves to back Roe v. Wade. It’s comments like these that dismiss pro-life Americans who stress that, instead, the unborn always die in abortion. It happens to one million per year and 60 million since Roe v. Wade, according to pro-life leaders. The media should worry not only about the law but also about representing pro-life Americans. 2016 presidential election exit polls showed that more than one in five voters considered Supreme Court appointments the “most important factor.” Those voters favored Trump, who promised pro-life judges. On top of that, a Gallup poll released in June found Americans who identify as pro-life rose to 48% to tie with the 48% who call themselves pro-choice. Journalists should also be concerned about what abortion is to the pro-life movement. But, as in years past, they’re already spinning this debate regarding abortion. Washington Post columnist E.J. Dionne Jr. wrote July 1 that Sen. Elizabeth Warren, D-Mass., was right in tweeting “This is the fight of our lives” because of “the threat toRoe” along with other issues. But many in the media forget that, for the pro-life movement, it’s not just a “fight of our lives.” It’s a fight for lives, for others’ lives. To pro-life Americans, one person always dies in abortion – and until the media confront the argument that this isn’t about controlling women’s bodies, they will always underestimate the pro-life movement – and its strength.